I’d like to talk a little bit about acute practicing versus chronic practicing. Typically we associate these terms with diseases, but they have more straightforward definitions as well. Acute means merely short term or short period. And chronic just means ongoing or an extended period. Now that we’ve established an understanding of these terms, here's how they apply to practice. Acute practicing as I understand it is goal-oriented and time-specific. 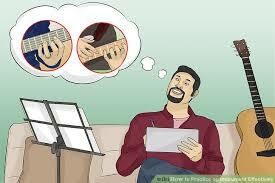 For example, practicing your scales from noon - 1:00 PM. Or working on a particular piece from 4:00 PM - 5:00pm. This is how we typically approach it. Chronic practicing is not necessarily goal oriented (but could be) nor time specific. Chronic practicing could be passively hearing those skills while we do other things. Or rehearsing that piece we were working on in our head all throughout the day, long after we’ve put our instruments away. We’ve all heard horn players humming or whistling ideas that they’re working on, almost on a subconscious level. The same can be said for drummers who are always tapping out grooves and rhythms, no matter how annoying to those around them. These are all classic examples of chronic practicing. In medicine, chronic diseases are often much more deadly than acute ones because one, you don’t know have it until it starts to aggressively attack your body or immune system; and two, it affects a larger area of your body, perhaps your immune system as a whole. Chronic practicing is similar in that its effects can run much broader, and the information and skills get absorbed more deeply and tend to be more long-lasting. Branford Marsalis often talks about a chronic practicing approach to transcribing (this is my assessment, not his), where the first step is to listen to a solo a million times, then when he gets it in his ear solid enough where he’s able to sing every note, then he transcribes it. This certainly differs from the acute practicing method where you pull out the manuscript paper and write it down, let's say from 1:30 PM - 3:30 PM--a methodology I often employ. It's important to recognize that both approaches have their advantages. I do something similar when I’m confronted with something rhythmically challenging. Before attempting to play it on my instrument, I spend a week or so singing it, tapping it out, humming it, anything to get it embedded into my system. One might conclude that acute practicing is done with one’s instrument and chronic practicing is done without. In many instances this is true, but certainly not exclusive. More simply stated: Acute practicing as the method for getting it under your fingers and chronic practicing as how you get it into your system. As I often say, this is not hard science, but a mere softer way of learning. The following is the press release by the San Francisco Public Library. Soprano saxophonist and new music practitioner, Bruce Ackley, will present a brief and informal survey of the history of the barely tamable, and little celebrated, soprano saxophone. 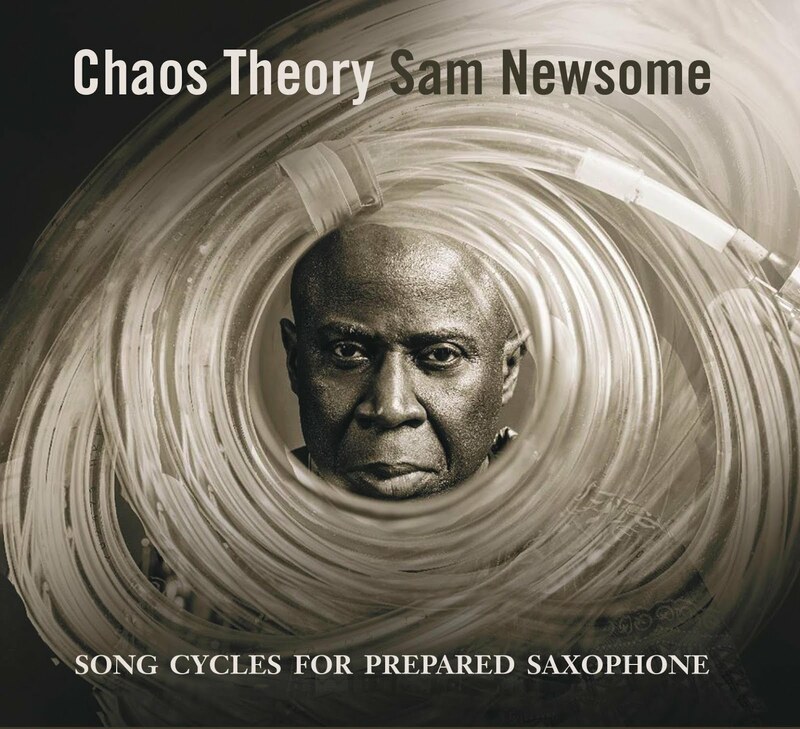 Through conversation and live music examples, he will explore the use of the straight horn in traditional and contemporary jazz and the alternate universe of improvised music. Ackley has dedicated nearly 50 years to study of woodwinds and improvisation, concentrating almost exclusively on the soprano sax, and will present original works, improvisations, and pieces by soprano masters John Coltrane, Steve Lacy, Sidney Bechet, and Johnny Hodges. 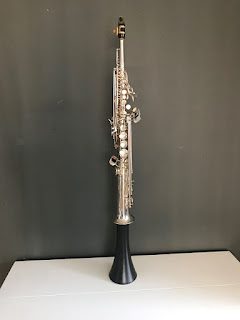 Preceding the live performance, Ackley will present a short slideshow introduction to the soprano sax, and discuss the players who have demonstrated the power and depth of the straight horn through their work. Bruce Ackley began studying saxophone in Detroit in 1970. Having emerged from a visual arts background, he worked with fellow artists-musicians to create freely improvised music before relocating to San Francisco in 1971. 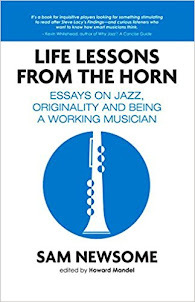 On the west coast, Ackley began the study of jazz and contemporary music. He soon became an active participant in San Francisco’s exploratory music scene, a vibrant community that combines composition, strategy, and improvisation in new ways to create exciting musical forms. 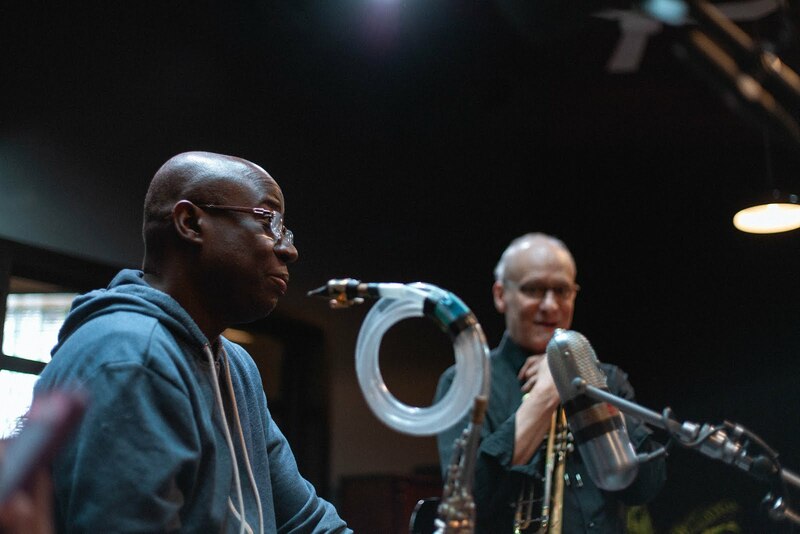 In the late 1970s, he formed Rova Saxophone Quartet with like-minded players—musicians who embrace structural innovation, improvisation, and community as guiding principles in music making. Now in its 5th decade of presenting adventurous music for sax quartet and expanded ensembles, Rova continues to serve as an ideal vehicle for Ackley’s development as a composer, improviser, and soprano saxophonist. Ackley has worked intermittently as a solo performer and also leads other music ensembles. Please check out some of Bruce's wonderful experimental work with vocalist Aurora Josephson and percussionist Gino Robair. I was strolling down 125th Street in Harlem a few days ago, and I spotted a party supply store across the street. Of course, the creative bells went off. I did not know if I'd find anything I could use for sure, but I did feel it was highly likely. 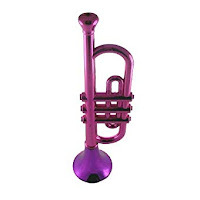 What I found was a vuvuzela horn. 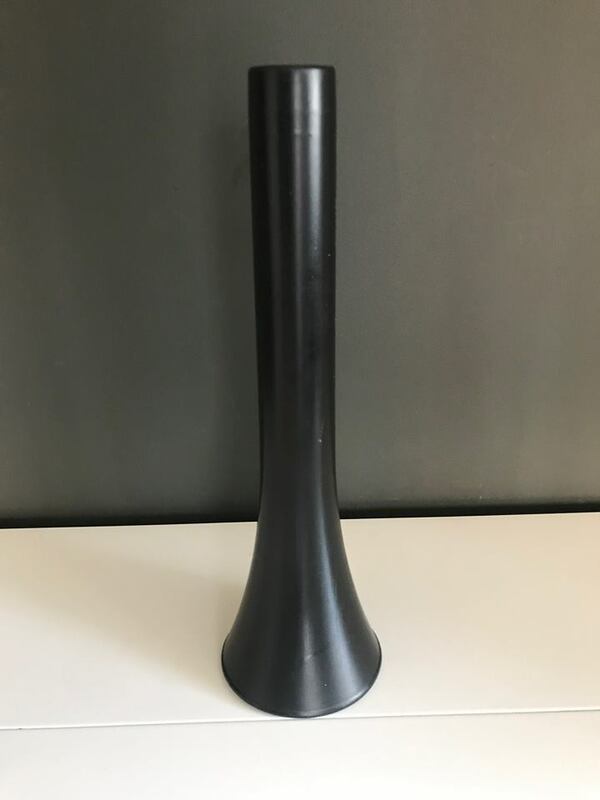 These are plastic horns commonly used during football matches in South Africa. 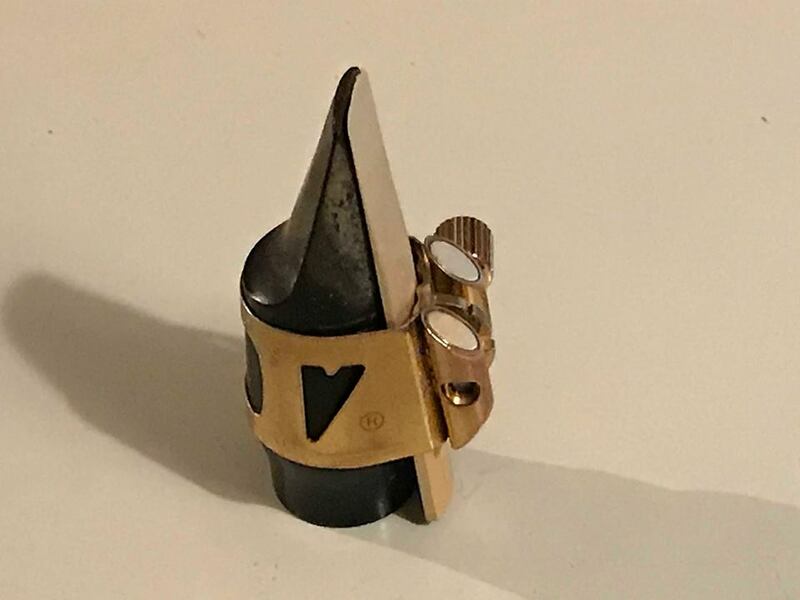 Fortunately, this smaller cut version sold by this store fitted perfectly into the bell of the soprano saxophone. It's still in the beginning stages, but I already like how it helps to direct the sound as it comes out of the soprano's bell. Range-wise, I"m able to play much lower. Not necessarily conventional, 12TET notes, but those notes produced when playing extended techniques such as multiphonics and percussive slap tongue tones (PSTs). The video demonstrates the latter. In this video, I'm demonstrating how it sounds when employing the PST technique. This particular piece is relatively new to my sonic arsenal. But I'm very excited to see what other musical and sonic gems surface as a result. 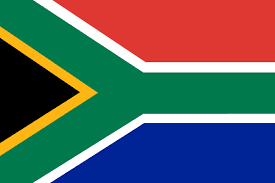 And it's nice to know that these horns now have another purpose other than distracting the opposing team during a South African football game. A colleague once asked me how I deal with space when playing in a solo context. More specifically, how do I deal with the challenge of filling up the space. I explained that it’s not an issue of filling up the space, but coming to terms with it. Space is the straight man of a comedy bit: giving your ideas clarity and a strong sense of purpose. Seeing space as something you need to fill up is implying there’s something wrong with it being there—like the need to fill up a hole. Musical space is hardly a hole. It’s not something you fall into or stumble over. It’s something you lean on. It’s the yin to yang; the up to the down; the peace to the chaos. As I think about this, more and more, here are a few things which come to mind as ways in which space can assist us, not only when playing solo, but while improvising, in general. 1. Gives clarity to your ideas. 2. Allows us more time to think. 3. It’s an opportunity to rest. 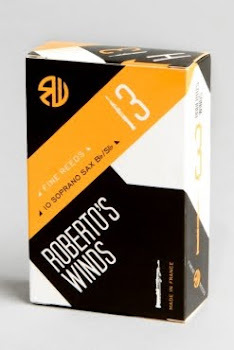 Something we need when playing an extended solo saxophone set. 4. A chance for us and the listener to digest what was previously played. 5. Creates more excitement and anticipation for the ideas are to follow. 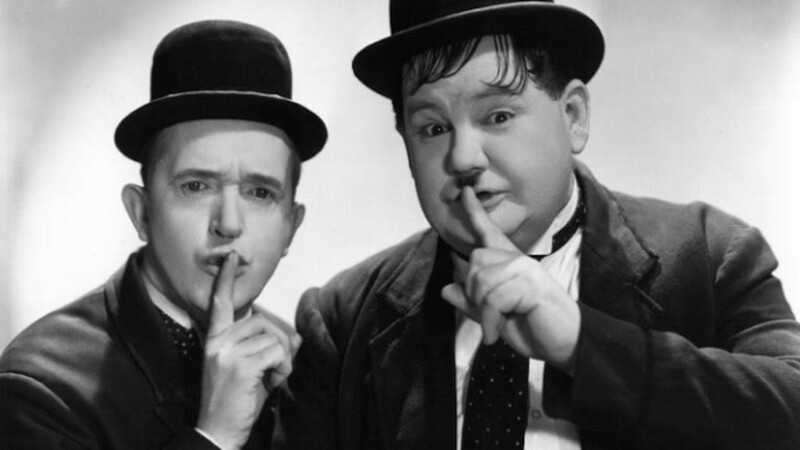 Going back to my straight man analogy, imagine Laurel with no Hardy. Penn with no Teller. Abbott with no Costello. Space is an important member of the team. The strong and silent type, if you will. It’s a pretty radical concept to think that the most profound thing we can play is nothing. Or that the most healthy thing we can eat is nothing. Or that the most effective solution to a problem is to do nothing. Space, silence, nothing—they’re our most effective creative allies. All that we have to do is give them a chance. In more recent weeks, I've been experimenting with playing my tube extensions unattached from my soprano. This particular concoction is made up of five (5) parts. 1. 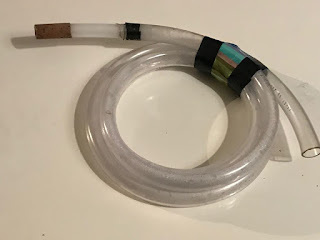 Coiled plastic tube: This is where the sound travels through. 2. 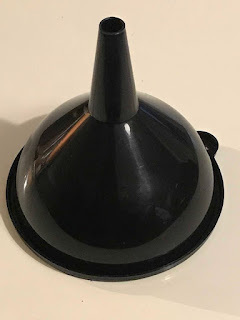 Plastic funnel: This attaches to the end of the funnel to help direct the sound. Similar to an instrument's bell. 3. 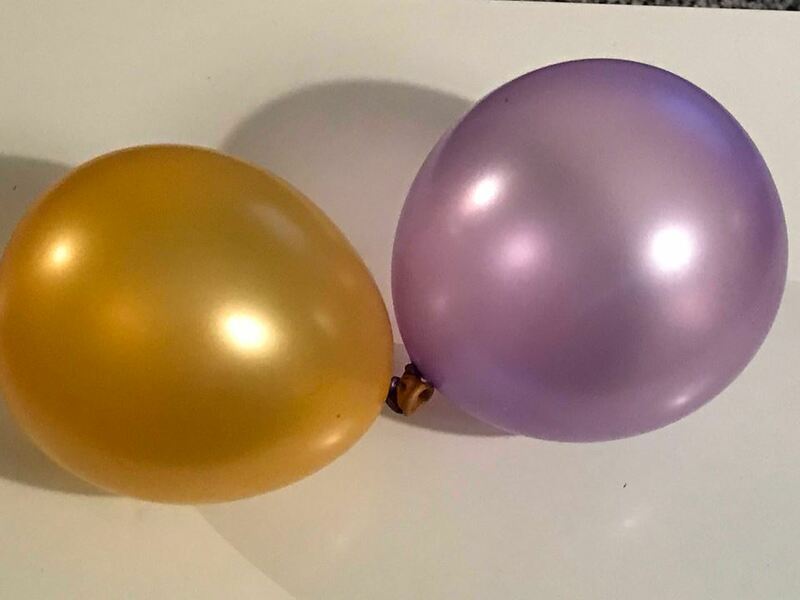 Balloons: This is attached to the funnel. The dry rice inside of them helps to create a rattling effect when needed. 4. 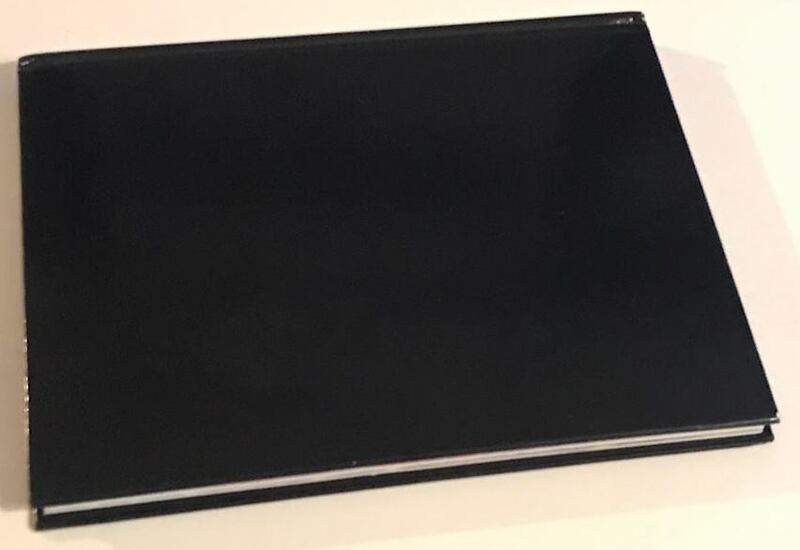 Book (or flat surface): This helps to create the plunger effect heard--enabling me slightly vary the sound. 5. Mouthpiece: This, of course, is where the sound is generated. The piece: In order to perform this, it helps to be able to circular breath. The drone effect gives it more sonic continuity. As with most of my sonic improvs, this piece follows an ABA form. A section: Main melody--usually in time. B section: Improvisation--usually non-metered and sound based. A section: Main melody returns. Enjoy. And stay tuned for more! The following videos demonstrate my recent fascination with using toy noisemakers as means for taking me down new sonic avenues. Much of my work in the area of sonic exploration is rooted in the simple idea that if you want unconventional outcomes, the process through which you create must also be unconventional. 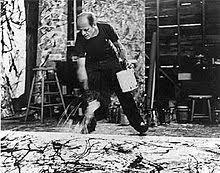 Two persons who've been major sources of inspiration are visual artists, Jackson Pollock, and Ushio Shinohara. Whereby I'm into exploring unconventional ways to move air through the instrument, they've introduced the art world to new ways of applying paint to canvasses. Jackson Pollock's signature extended painting technique was drip painting, whereby he did away with the conventional means of applying paint to the canvass. First off, his canvass was on the floor, not upright on an easel. 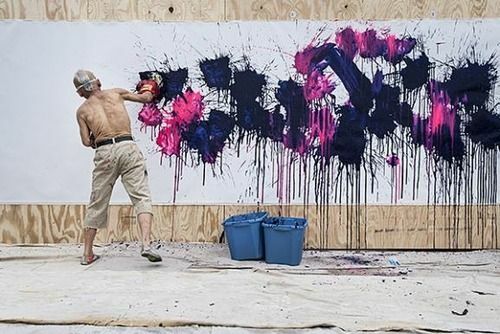 Secondly, instead of using traditional painting techniques, he would hurl, fling, drop, drip, and splash the paint onto the canvass. Hence, why he arrived at unconventional outcomes. The first example is a piece I call 'Saxo-Kazoo-O-Phone." Here, I've attached a toy kazoo to the neck of the soprano, which is used in place of the traditional mouthpiece. 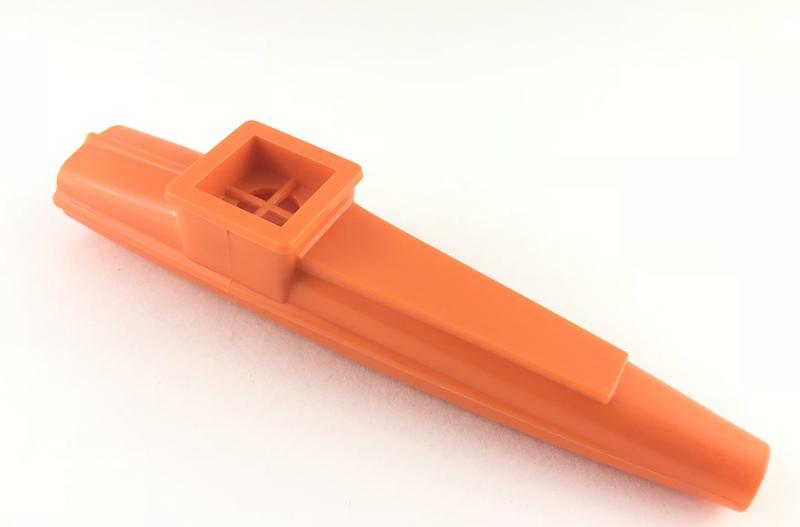 Even in the world of toy wind noisemakers, the kazoo is unique, because you can't just blow through it, you have to hum while blowing through it in order to create the buzzing effect. And as an added effect, I attached a set of wind chimes that dangle from the neck strap holder. I use this as a kind of sonic backdrop. As I see it as an aural version of a canvass. The next piece does not have a title, but it does follow a similar approach except that I use a plastic toy trumpet as my sound source and mouthpiece replacement. Again, fro sonic canvass purposes, I've attached 5 inch round balloons filled with dry rice, that causes the balloons to function as shakers as I move my fingers. The purpose of this is to take the ear in a different direction if needed. This is the first installment of these types of prepared saxophone explorations. More to come. Is this era of when our everyday lives are being funneled through social media, it leaves me to wonder if as a culture, we’re getting off track. Hear me out. There was a time when being “liked” as the artist meant that people had a real and genuine connection to you and your music. 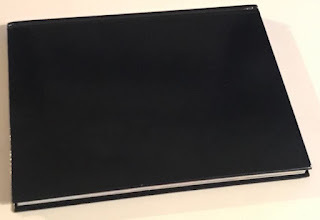 In the world of social media, to be “liked” can be as meaningless as receiving a birthday card from a stranger who randomly pulled your name out of a hat. What they both lack is an emotional investment. I’d be the first to admit that it does feel good when that uploaded picture to Instagram receives 50 "likes" in an hour—not that it happens often. It makes you feel like you’re making a real connection to a large group of people—maybe even growing your fanbase. But are you, really? Probably not. I’ve found that the effects from this type of social interaction dissipate like a consumed plate of white rice during a strenuous workout. I call it the Chinese Food Effect because an hour later, you’re hungry again for more attention. 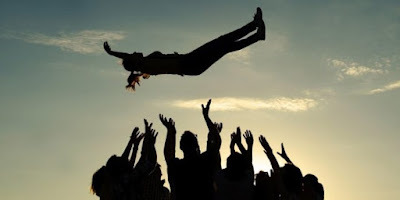 I propose this: Due to the shallowness of social media connections, maybe our goal shouldn’t be to be "liked," but trusted. To be "liked" can simply mean that someone randomly came across your content, and hit the “like” button for no other reason than it was there, or because everyone else did. Trust, on the other hand, is a lot more involved. First off, trust is built over time. Secondly, to have earned it means that you made a genuine human connection. There’s also an accountability factor tied to being trusted. Meaning, you must be persistent with what you do, and you must be consistent with what you do. With trust comes a set of expectations that others have of you, and hopefully, you have of yourself. As I see it, there are no real core set of values tied into being “liked.” "Whatever it takes" seems to be the shared sentiment. This is a dangerous place for artists. Whenever you attempt to win folks over with anything other than excellence, it will ultimately have adverse effects on your work. Playing well and composing great music will take a backseat to spouting outrageous things and posting inappropriate pictures. Going back to the Chinese food reference, being trusted leaves you a lot more spiritually satiated, with no desire to consume another bite. The effects of it run much more profound. One bond of trust is worth more than a thousand meaningless "likes." Quantity over quality is an age-old sentiment, and one I think would behoove us to revisit during this age of Twitter, Facebook, YouTube, Snapchat, and all of the online meetups. I think we’d all be better off if we put a little less media in our lives and a lot more social. Last week, violinist Meg Okura and I had the pleasure of visiting McGill University in Montreal, Canada, to participate in the Improvisation Workshop Project (IWP), the brainchild of pianist and McGill University professor, Jean-Michel Pilc. The IWP brings together musicians of all backgrounds and experience levels (students and professional musicians, jazz and classical) to explore the tradition of jazz as “improvised chamber music” based on collective improvisation. The project includes weekly playing sessions that brings to together diverse groups of musicians to try new ideas and interpret new material brought in by Jean-Michel Pilc and other participants. Using an “improvisation as instant composition" approach and the collective improvisational process, the IWP investigates how such diverse disciplines as composition, orchestration, musical interpretation and improvisation combine organically into a coherent whole in jazz music, and also how a diverse lineup of musicians can hold natural and meaningful musical conversations. This performance took place on Saturday, February 23, 2019, at 8pm @ Tanna Schulich Hall of Schulich School of Music of McGill University. It featured two groups made up of some on Montreal's finest improvisers. Violinist Meg Okura and I were the two invited guests from New York City. And what's really impressive about this gathering is not so much that it's all improvised, but the clarity and musicality that's achieved throughout. It has certainly made me rethink jazz composition. * The IWP is funded by the Fonds de recherche du Québec – Société et culture (FRQSC). I haven’t told many this, but I’ve always struggled with social anxiety for most of my life. I’m happy to say that it has become less of an issue the older I've gotten. This is a good thing. Because when you’re five years old, people think that social awkwardness is cute. However, when you’re 50, people think that you’re strange. Let’s just say I’ve come a long way from my early childhood when I battled selective mutism. It’s funny how during high school people used to always think that I was happy because I was always smiling. When actually, incessant smiling is a common symptom of social anxiety. Smiling in the face of misery. I call it the SITFOM effect. I’m mentioning this because this prayer has served as a foundation for how I now navigate life and creativity. My advice to students and friends is usually to "focus on you can control, not on what you can’t." If I get too focused on my career, my music, or life, in general, I ask myself: Are you eating enough healthy food? Is your living environment clean and organized? Are you drinking enough water every day? Or, what can you do to help others? I really focus on the basics—things that I am sure are within my control. I’m a firm believer that directing one's energy towards these kinds of things creates good karma that will, in turn, put one in the mindset to make their more lofty goals more attainable. And besides, focusing on these basic, less self-centered things gives me a stronger sense of satisfaction. 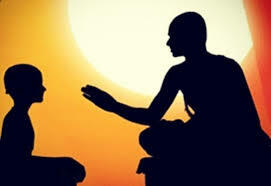 I see myself as being in control of my life, rather than being a victim of circumstance. From a creative perspective, I try not to spend energy on what I can’t do, but instead, try to focus on what I can do very easily, something I've come to identify as my natural genius: doing that which you might see as being too easy. I'm sure we've all been fish trying desperately to climb trees. Society has conditioned us to believe that we need to be good at everything--especially music education. Which goes against the grain of tapping into your natural genius. The hardest thing about embracing your natural genius is giving yourself permission to do so. We've convinced ourselves that if struggling is not built into what we do, that it’s not valid. It’s as though we need to feel like victims of creative circumstance. Is a meal that takes five minutes to prepare less delicious or healthy than one that takes five hours to prepare? I think not. Surrender. Relinquish control. Leave it to fate. Put it into the hands of the Lord. Take the path of least resistance. However you choose to look at it, remember that the clearer the mind, the clearer you’ll be able to see things, consequently, making better decisions. As far as my social anxiety issues. They still exist. But I try to focus more on what others might be feeling and their needs, rather than thinking that everybody is watching me and is out to get me. Seems to work. Oh...and if you are a fish, stay out of trees, and if you're a monkey, don't try to make your home in the deep sea. Life can be difficult enough being where we're supposed to be, no need living your life of as a primate swimming with the dolphins. * Regarding the Einstein quote, there's no concrete proof that he actually said it. But it is a wise quote, nonetheless. I’m a firm believer that if you’re making music for everyone, then you’re not making music for anyone. Try this: The next time you go into a Starbucks, ask for a two-piece with a biscuit and mashed potatoes. They’ll probably send you to the nearest KFC. (Keeping the food analogy.) 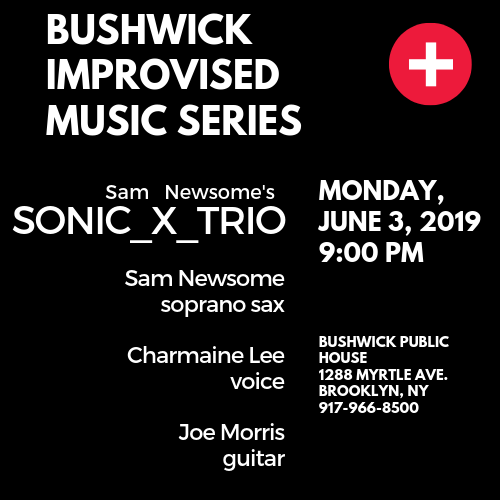 If someone came to my gig expecting to hear jazz saxophone playing correctly over the chord changes, I’d probably recommend Smoke Jazz Club, or perhaps Small’s on West 10th, and respectfully explain that what they’re looking for is not on my musical menu. As artists, just trying to survive doing what we do, we can be too willing to alter what we do to fit in. 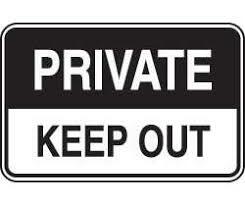 The flip side of earning permission to join Club Popularity, is you’ve now given people permission to ignore you. I guess the grass is greener on the other side. Young boy: Were you always invisible? Invisible man: No. At one time I was prominently seen by all. Invisible man: I tried to become like everybody else, and succeeded. There are a few benefits to excluding certain people and catering to a select membership. We have people in our circle who really want to be there. Not having naysayers and skeptics in our inner circle, allows us to maintain our artistic focus. We’re more likely to have folks around us who will help spread the word about what we do. Instead of casting a wide net, I suggest casting a purposeful one. Keep those unwanted fish at bay. Invite only those whom you wish to devour to your musical plate. I was inspired to write this piece after a recent performance at the Hartford Public Library as a part of their Baby Grand Jazz Series. I played there with Cooper Moore on piano, Hilliard Greene on bass, and Reggie Nicholson on drums. It’s difficult to see on the video, but the crowd was really into it. They even gave us a standing ovation. But then there were several people not into it. Many saw fit to get up and leave, very early into our set. Probably not the brand of jazz they were looking to consume. And I’m glad they did. (Another food analogy.) If we’re grilling burgers, I don’t want folks hanging out, getting pouty because they’re no hot dogs. “Nathan’s is down the street,” I say to those folks. Teacher and Student: Then What? Student: I really want to have a more significant social media presence. Student: I can let more folks know what I’m up to. Student: If more people know about my gig, more will show up. Student: If the club is packed, I can get another gig. Student: If the word gets out that I can pack a club, more places will want to book me. Student: If I’m playing all over the place, then I can start playing festivals. Student: Playing festivals will get me a high ranking in the critic's polls. Student: If I do it long enough I can become number one. Student: What else is there? Teacher: How about family, friends, physical and mental health? Student. I forgot to consider those things. 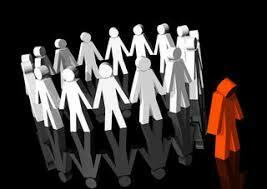 When promoting your music to others, remember that people rarely follow you because of what you do. It’s because of the story they tell themselves about what you do. Our work is not always recognized as a commodity but sometimes as a conduit through which others understand their own stories. This is one of the reasons why as artists we should see music not so much as a business but as a means to build a community. Fundamentally, they’re very different. The purpose of a business is to produce a product and make money from it. The goal of a community is to create a platform for shared values and to make a difference. One is about receiving, the other is about giving. Another point to remember is that folks rarely follow you directly; they follow others who support you. 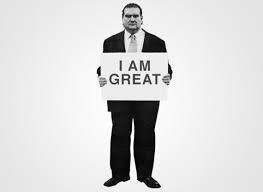 I can stand up and say "I AM GREAT" until I’m blue in the face (like this guy in the photo), but it’s nowhere near as effective as having others say it. Some call it "creating a buzz." 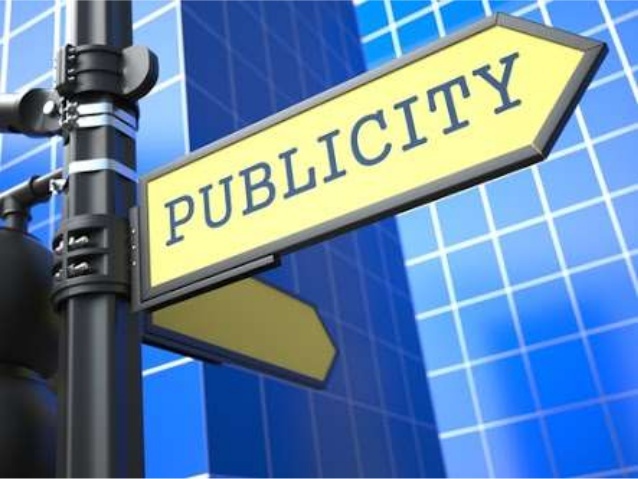 This is one of the reasons why many are willing to spend sizable amounts on publicists. 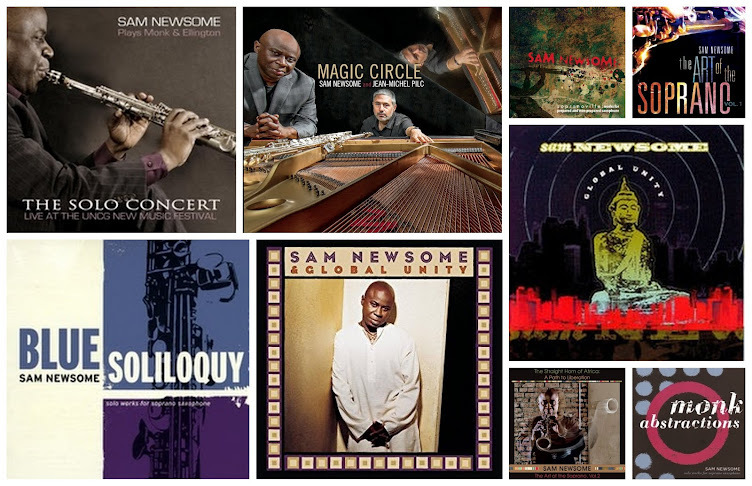 The idea is that if Downbeat says nice things about your CD, maybe JazzTimes will do the same, joined by a few well-known bloggers, followed by various members of the jazz community. This, of course, is a financially manufactured buzz. Something I'm guilty of being a part of, numerous times. Again, I realize this is a simplistic way of viewing it. Ultimately, you have to have something on the ball for those as mentioned above to talk about you, even if you pay them. The most effective and long lasting buzz happens when word spreads about your work throughout members of your tribe. And by tribe, I’m referring to individuals with shared interests, taste, and values who are emotionally invested in your work. A little note about tribes: The benefit of a tribe is that they will often spread the word about your work for you. All you have to do is to keep producing work that gives them a reason to talk. Not a bad deal. This is also one of the reasons you should be very targeted with whom you choose to focus as your core audience--or how I think of it: my musical family. Make your scope narrow, and the more likely you are to reach people who actually want to hear from you. There's a big difference between saying "Hey, I made this. Buy it from me." And "Remember that thing we've been talking about? Well, here it is. I'd like to share it with you." One sounds like financial coercion, the other sounds like an act of generosity. This goes against the grain on how we're taught marketing is supposed to work--also the problem I have with the publicists. They waste tons of CDs and time sending product to folks who have absolutely no interest in the artists they're promoting--only to justify their inflated fees. I call this template-publicity. Something I'll elaborate on in a later post. To wrap it up: When promoting your work, It’s not just about being great, or having a great look, or having a great story. Successfully spreading the word about what you do is contingent upon how well you make human connections, not just musical ones. Don’t just aim to reach folks through your horn. Sometimes you have to aim to reach them through your heart. Some of you may be aware of my experimentations with the Groan Tube noisemaker and balloons. 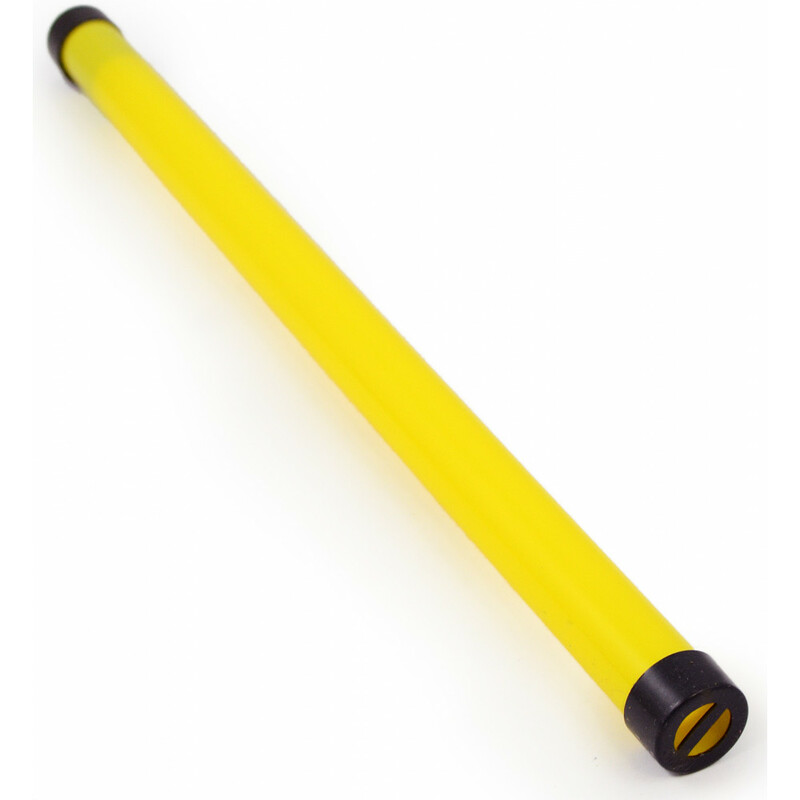 If you're not familiar with the groan tube, it's a narrow cylinder tube that makes a "groan" sound when turned on one end--hence, the name. The groan tube has been around since the 1960s and was made by the Japanese toy manufacturer Kureo. How does a groan tube noisemaker and balloons fit in with improvisation? Obviously, as shown in the pic, the groan tube too large to fit inside the soprano. 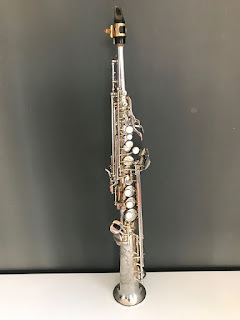 So, as stated I removed the noisemaker inside the tube and placed inside the bell of the soprano. Balloons: As you know, unless they pop, balloons function primarily as a visual. However, if you place small objects such as uncooked rice or uncooked beans, the balloons then become a percussive rattle. In this video, the rattling sound is created using rice. As heard in the video, I do have note limitations, but what I like is that it forces me to think of other aspects improvisation such as rhythm and motivic development, which are not always our default devices when we improvise. This performance took place in Kingston, New York at a performance space run by Álvaro Domene, a wonderful guitarist and improviser who's creating quite a scene in the area. 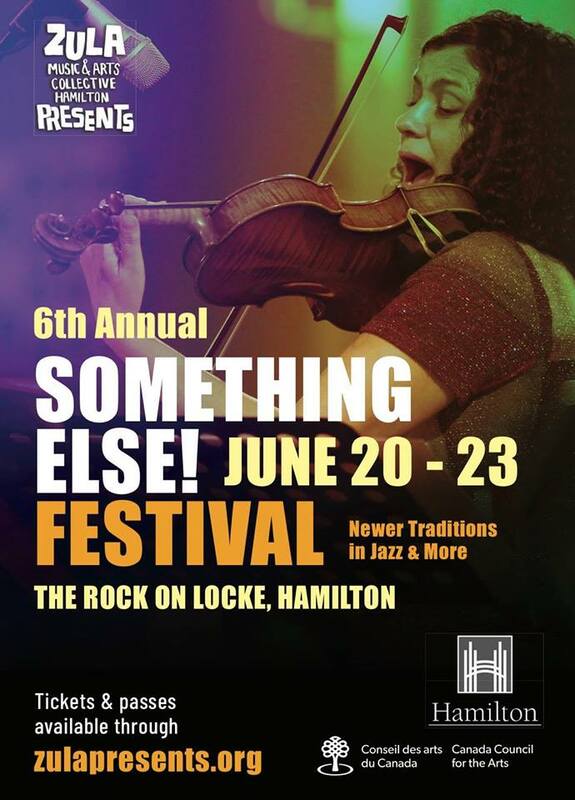 Please check out some of the later clips where we are playing together in trio with drummer Mike Caratti.